A while back I reviewed the Former Rust EP by Hunt/Gather that was released via Glaswegian label Struggletown Records. I've returned to Struggletown for this review, featuring Glasgow punk/emo band The Sinking Feeling, as the label were kind enough to let me review more of their releases. The Sinking Feeling are a three-piece and this is their debut EP. They are due to play Make Do And Mend later this month too! I've said for a while now that I need to review some music that's easier on the ear. More emo/punk type stuff, so I thought I'd start here. The Sinking Feeling has a kind of Alkaline Trio vibe going with more of a rock sound. Opener Annual is a stripped back punk song, with melodic guitar and drums, which bring plenty of energy. The Sinking Feeling to have experimental sensibilities buried within their sound though, with some cool off-kilter time signatures and moments of simple plucked guitar, which nods towards jazz at time. Waterside Rd is an easy, laid back song perfect for a Sunday. The vocals are sung in the kind of way that makes you take note and sound nice and clear thanks to the production on the EP. The music is mid-paced and relaxed though they do make use of more crunching guitar at times. Their preference for larger instrumental passages in the song also shows a more expansive side to their sound, which is really cool. The feedback at the end is properly piercing though. You'll find yourself toe-tapping to Hindsight. It's got that really danceable rhythm to it which must go down really well in a live setting. I can see why they are supporting Make Do And Mend! It's pretty astounding how good this EP is. People think that music has to be really technical and complex to be interesting, but if you sit back and take notice of well-structured music like this, you often find that it's better. M74 closes the EP and makes you realise that this EP is too short. The male/female vocal harmonies and acoustic guitar finish the EP off with a nice, chilled out vibe. This is the start of a new chapter for my blog, where I'll be mixing things up a little and what a place to start. This is great, so you better play the hell out of it! You can also download the EP for free from the above Bandcamp page and if you want a physical version, head over to the store at http://struggletown.limitedrun.com/categories/all where you can pick up Blue or Orange tape versions, but be warned they're only limited to 15 copies of each, so move fast if you want one! 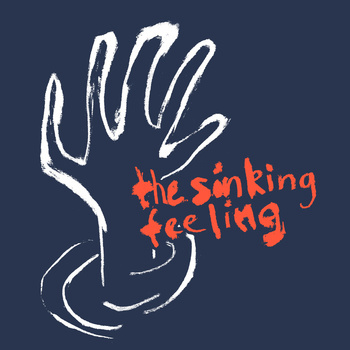 The Sinking Feeling are on Facebook at http://www.facebook.com/TheSinkingFeeling and have a merch store at http://thesinkingfeeling.bigcartel.com/. Struggletown Records are on Facebook at http://www.facebook.com/struggletownrecords.